Eliza Hersh ’98, right, shares a moment of satisfaction with colleagues and a client at the East Bay Community Law Center’s Clean Slate Clinic. While delighted with individual success, she’d prefer to see real systemic transformation. Eliza Hersh ’98 was 9 years old when her older brother was sentenced to a Nevada prison on a drug conviction and other offenses. His 14 years behind bars were a life-shaping event for Hersh in more ways than one: It helped shape her career arc. “He was someone who was convicted of felonies, but he also was a wonderful brother to me and a really important person in my life before he went to prison and now that he is home,” Hersh says. “I can hold both of those truths, and that makes it easier to recognize the humanity in all people. “I learned very early in life that someone can make grave mistakes, but not be the sum total of the worst things they ever did,” she adds. It’s that same sensibility that informs Hersh’s work as director of the East Bay Community Law Center’s (EBCLC) Clean Slate Clinic in Berkeley, Calif. The clinic, one of the first of its kind in the nation when it was established in 2005, helps former offenders navigate the criminal justice system’s often labyrinthine road to reentering society. Hurdles include what are known as “collateral consequences,” challenges that make it difficult, or even impossible, for those who have fulfilled their sentence—but are tarred with a conviction—to secure housing, work, and public benefits. Such impediments are part of a larger conversation on crime and punishment in America. In July, President Obama visited Oklahoma and became the first sitting president to tour a federal prison. The trip punctuated White House calls to reform a criminal justice system criticized as being unfairly biased against people of color. Amid growing public support for changes, a bipartisan group of senators in October unveiled a criminal justice reform bill that would eliminate mandatory minimum sentences—except for serious drug felonies and violent crimes—criticized for their one-size-fits-all treatment of nonviolent offenders. The bill also would improve reentry programs in federal prisons, an attempt to cut recidivism. Research shows that recidivism drops to eight percent, if ex-convicts are able to find employment within a year of their release. The rate skyrockets to 64 percent for those who don’t find work in that span. California’s Proposition 47, approved in November 2014 with nearly 60 percent voter support, reclassified eight offenses as misdemeanors, including a number of nonviolent felony offenses, such as simple drug possession and theft of less than $950. The reform has put a strain on the judicial system and clean slate clinics working to petition courts for felony reclassification and effectively clearing an offender’s record. EBCLC has seen an uptick in clients since the referendum passed. Its clean slate clinic already serves 1,000 clients annually—10,000 since the clinic opened. Clearing someone’s record isn’t always easy. Many clients’ criminal backgrounds remain on the record, even after they’ve been formally cleared, Hersh says. That’s where her clinic comes into play, threatening lawsuits against employers who discriminate on the basis of a person’s since-cleared rap sheet. Up to 40 percent of jobs in California require licensing by various industries, a process that involves background checks and, potentially, revelations of a criminal past—even for those who have been cleared. Proposition 47 is indicative of a new mindset. “There’s a much more widely held notion now that we should be smart on crime rather than tough on crime, and that’s a sea change,” says Hersh, who has been consulted on the creation of clean slate clinics the length of California. Law students from the University of California, Berkeley—150 students over the years—have aided her efforts at the Alameda County clinic. Violet Green is one of Hersh’s clients.When she was 14, Green’s boyfriend sexually trafficked her in Los Angeles and involved her in a street scam that netted her a 22-month prison sentence for theft and conspiracy. In prison she saw a mother and daughter serving separate sentences, prompting Green to turn her life around. “You want to see a family in a positive light, not in prison,” she says. When she was released, Green was able to land a job as a general laborer with the San Francisco Municipal Transportation Agency, where a human resources representative tipped her off to Hersh’s clean slate clinic. Green has been working with Hersh and her clinical law students, so far without luck, to be pardoned by Gov. Jerry Brown for her misdeeds. For Hersh, working on behalf of clients, most of them African-American, is an inherent part of her personality, according to those who know her. 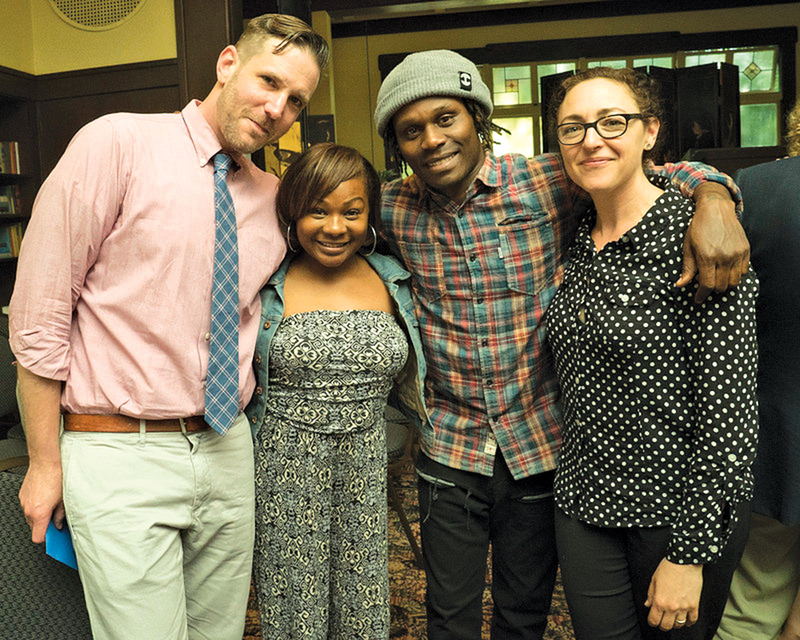 Little did she know, but her experience in experience Middletown would pay dividends long after graduation, when she found herself running into several alumni whose work, in ways, mirrored her own, and with whom she’s collaborated. They include Martha Faller Brown ’75 who is EBCLC’s director of finance and administration (Hersh calls Brown “a financial wizard who makes EBCLC run”); Alexandra Desautels ’02, a program officer at The California Endowment, where she improves public health outcomes through innovative reentry strategies; and Rose Cahn ’01, a Soros Justice Fellow and national expert on reentry law for immigrants. Hersh, meanwhile, continues to be her clients’ most vocal advocate. She resists certain verbiage in describing her clients’ triumphs. She’d rather see systemic change. Andrew Faught is a freelance writer in central California. He has written widely on issues and ideas in higher education. 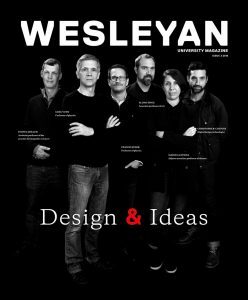 Since 2009, the Wesleyan Center for Prison Education has brought the transformative power of liberal education into Connecticut’s prisons, offering incarcerated individuals the opportunity to take Wesleyan courses taught by Wesleyan faculty and to receive college credit for their efforts. The center offers numerous volunteer and service-learning opportunities for students. Extending their on-campus leadership roles, many students serve as writing tutors and teaching assistants for courses at Cheshire Correctional Institute. They have the opportunity to work closely with incarcerated men, women, and youths through college-prep and academic workshops. The center also offers policy and research internships to undergraduates. By fostering innovative and collaborative learning, the center offers a dynamic approach to reduce rates of reincarceration and democratize access to educational opportunity. 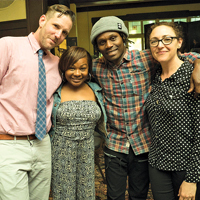 The center is a member of the Consortium for the Liberal Arts in Prison at Bard College. HISTORICAL ROW: TIME FOR A BREAK!